W2 Realty Team your Trusted Regina Real Estate Experts share a tip on the only remaining unit in Regina's De Marco Pointe Townhouses project by Westridge Homes! The W2 Realty team are Karin Wees and Jen Welykholowa, two very well respected Regina Real Estate Agents from Realty One Real Estate Services Inc. The decision to purchase your home is one of the most important decisions you will ever make, and will also be one of your largest investments. Done right, it can also be one of the most exciting and fulfilling times in your life! When you work with Karin and Jen at W2 Realty, you are getting a team of dedicated real estate professionals working together for your best interest. The W2 Realty team are Trusted Regina Real Estate Agents. Karin and Jen.... The Regina real estate team dedicated to you making the "right move"
Going...going...There is only one unit remaining in Regina's De Marco Pointe Townhouses project by Westridge Homes! Boasting superior construction & finishing details, this former show suite is outstanding value at $339,900, including granite, appliances, blinds package, single attached garage & basement development with spacious rec room and extra storage space. Contact us for your private viewing! Welcome to 4505 2nd Avenue in the De Marco Pointe Townhomes Project...the last unit available in this great complex! Regina’s De Marco Pointe Townhome project graces the edge of the established neighborhood of Rosemont. Adjacent to Lewvan Drive, the location provides quick access to all of Regina’s NW amenities & city center, while being within walking distance of local parks and shopping. The De Marco Point Townhome floorplans feature a spacious welcoming entry with large windows allowing an abundance of natural light to accentuate the open concept living space. The well designed kitchen includes lots of cabinet space, a furniture style movable island with eating bar, built in pantry unit and a stainless steel range hood. The 3 bedroom two-storey plans offer a master bedroom with 3 piece ensuite, walk-in master closet and a large second floor laundry conveniently located close to the additional 2 bedrooms. Ample storage space is a feature in all rooms. Every townhome features upgraded cabinetry, lighting, plumbing fixtures and floor coverings and central air conditioning as a value added feature. De Marco Pointe Townhomes offer an attractive and low maintenance exterior with a private rear deck surrounded by a park like yard, individual attached insulated and dry walled garage and private driveway for additional parking. The homes include full basements and superior building techniques, with high efficient furnaces, triple pane windows, R50 attic insulation and on demand water heaters. One of the best features of all the townhome units is the enhanced soundproofing provided between each adjoining home for more privacy. Quality construction and finishing as well as a high standard of customer service are the hallmark of Westridge Homes & Construction and we are proud to represent this project! Now only one unit remains! The former show suite is completely developed with spacious basement rec room and storage space and is upgraded to granite throughout with stainless steel appliances and blinds included! Contact us for more details and to schedule a showing of this great unit now priced at $339,900 including GST. Your Trusted Regina Real Estate Team, helping make the right move! So make the smart and simple choice today, you see a Trusted Regina realtor is never a risk and W2 Realty are Trusted Regina Real Estate experts! Trusted Regina Custom Closet & Home Storage Pros can help you organize your home! Let Tailored Living featuring Premier Garage of Southern Sask help you find the best storage solutions for your home and garage. Call now for your in-home consultation. The team looks forward to meeting you. CUSTOM CLOSET, HOME and GARAGE STORAGE and GARAGE FLOOR COATING professionals. Busy families are always in search of more time. Organization saves time, money and a lot of frustration. It's all about having the best designed spaces in your home...big or small. Let Tailored Living featuring Premier Garage bring organization into your home and garage with all of our unique and custom storage solutions. We help homeowners with storage solutions for closets, garages, pantries, entryways, home offices, laundry rooms and more, including entertainment or media centers and space-saving Murphy Beds. We are the experts at maximizing your living space and getting your home beautifully organized. Check out their listing here in Regina Renovations Category to read what their happy clients had to say! Invisible Fence Brand of Saskatchewan, your Trusted Regina Pet Fencing Solution Shares how Their System is Different from the Rest! Invisible Fence® Brand systems Saskatchewan are invisible boundary systems for your yard and home! It keeps your pet out of harm's way and prevents unwanted behaviors throughout your home and yard. The systems are safe, humane, and highly recommended by Veterinarians, Behaviorists, and pet experts. Over the last 40 years, they have helped more than two million pets and their owners lead safe and harmonious lives together, and their exclusive training program allows dogs and cats to learn their boundaries without fear, distress, or behavioral harm. Their proven P.E.T. Approach™ training method ensures the success of their products every time, with any pet, and in every household. The result? An unparalleled success rating (over 99%) and the most effective solutions in the industry! Freedom and convenience for you & your pet. Trusted Saskatoon Invisible Fence Brand Expert shares her responses from Facebook questions! The GPS system is installed using a computer with no wire to bury. Your pet’s perimeter boundary can be customized to any shape and there is no maximum size limitation. Your pets GPS mobile collar utilizes data from a network of 32 GPS satellites to ensure your pet stays within the established boundaries. A safe and effective static correction helps condition your pets to areas that are safe to roam and areas that should not be entered or crossed. Using our exclusive technology and rules for different pets, you can protect any number of pets and can design different boundaries for each pet. We will work with you to design your system and train your pets while educating you on the system. There is a NO risk guarantee or your money back. “Can this system harm my pet?" Invisible Fence does not harm your pet. The GPS system ALWAYS allows the dog to run back into the yard without being corrected. This is one of the many reasons why Invisible Fence Brand is so superior to anything else out there. No one else has this technology. And if I have done my job correctly in the training of your dog, along with this technology, your dog will never leave its set boundaries. Many people are under huge misconceptions about what Invisible Fence does. Technology and training has evolved so dramatically over the years. Invisible Fence is the only company out there that has an entire panel of Phd Animal Behaviorists that support Invisible Fence Brand technology and have designed an entire training protocol that we had to learn as dealers/trainers to put into practice when training a dog to an Invisible Fence. The dog does not get shocked as so many people think, it is a static. It is kind and gentle. Our dogs get excited when they see their collars because they know it means that they have freedom with no more tie downs. For all of your invisible boundary needs, Invisible Fence Brand of Saskatchewan is here to help! Contact them today! Prairie Boy Windows has been operating in Regina since 2003. Their focus is to offer high quality solutions to your windows, doors, exterior and interior renovations. Their success can be attributed to their commitment in serving customers with a high degree of knowledge, experience, and integrity. Their Regina team consists of over 25 years of combined home renovation experience and they have the capacity to tackle any job. 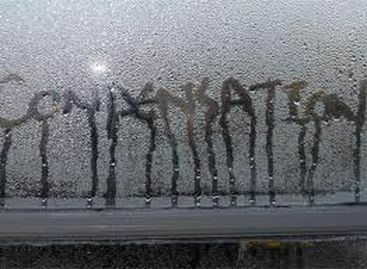 Condensation on windows is a major issue for most homeowners in Regina. This issue affects new windows as much as old windows. You might ask, why does my new window have condensation, that's why I replaced it? Well actually, if you don't adjust other factors in your home, your new window might gather more condensation than your old one. This happens because your new window has created a better seal then your old window, which leads to less heat transfer. A greater difference of temperature between the inside of your home and the exterior, the more likely you are to have condensation on your windows. This is highly evident during our lovely Regina winters. 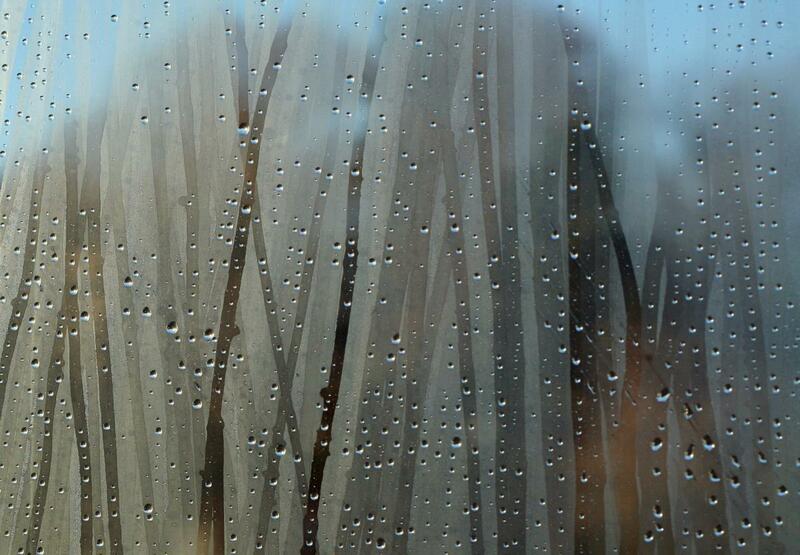 Condensation comes from the moisture in the air. As the air heats up, it expands, allowing it to contain more moisture, and vice versa when it cools. The warm air from the inside of your home comes in contact with the colder glass pane in your window. When this air reaches a cooling saturation point, the excess moisture liquifies, creating condensation. Another thing to keep in mind is, the less amount of panes that your window has, the colder the inside pane will be which results in a higher chance of condensation . Condensation on your windows and doors is most noticeable when the temperature outside drops quickly, creating a big difference between the inside and outside air. It is also noticeable in the early fall because during a humid summer, the home can absorb a fair amount of moisture, and when the temperature falls outside in the fall, this moisture becomes trapped inside the home, resulting in higher humidity levels and formation of condensation on the window. Where does this excessive moisture in the air come from? Believe it or not, the moisture in your home comes mainly from you. Showering, cooking, bathing, and washing all add moisture to the air. 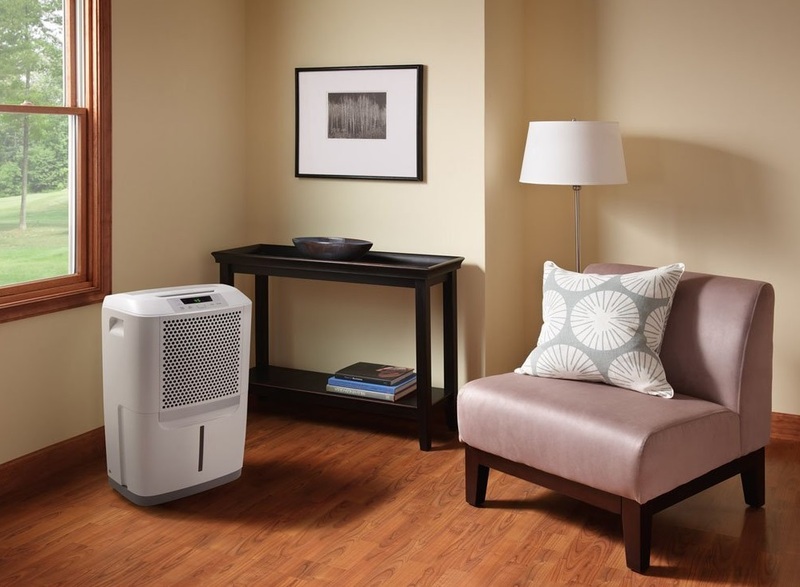 During the winter season, a target level of humidity indoors is considered to be between 25 and 40%. How to prevent condensation from forming on windows? Well that depends on the amount of moisture in your air, but it is about balancing the airflow in your entire home. Hopefully these tips will help you understand and prevent any condensation problems that you may be having in your home. If you have any further questions about the condensation on your windows, feel free to give us a call anytime at 306-352-5322. Prairie Boy are Trusted Regina window and door pros! 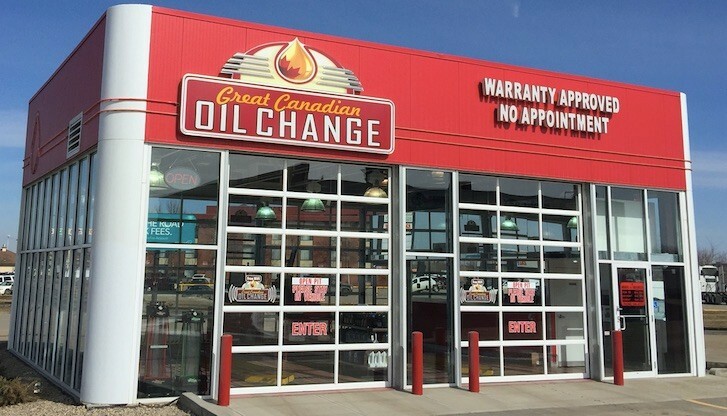 Great Canadian Oil Change on Quance and North Albert Street in Regina provides oil changes in 10 minutes. No appointment needed! 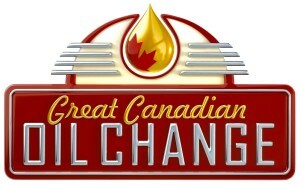 At Great Canadian Oil Change they will always do their best to keep you traveling safely, in a cleaner environment. They are your Trusted Regina Oil Change experts in the Regina Automotive General category. What is differential Oil? How does it work? How often should I get a differential service? First of all, what is a differential? The differential is a component in all automobiles designed to compensate for the difference in distance that the inner wheels and outer wheels travel as the car goes around a corner. Basically the differential allows your car to make corners without drama. If both drive wheels rotated together, going around corners would be jerky because the outside tire travels farther than the inside. In a rear-wheel-drive car, the differential has its own housing and lubrication. Front-wheel-drive vehicles typically integrate the differential in the transmission housing and share the same fluid. The differential can be seen by looking under the bumper from the rear. 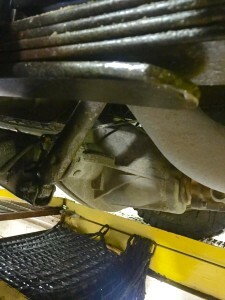 The drive shaft connects to the front of it, and the axles and rear tires come off either side of it. If you want to know more detail, search the internet. There are some cool pictures and videos of how the gears in a differential work. Differential oil, sometimes referred to as gear oil, is found in the axle housing. It’s thicker than engine oil and is designed to perform under high pressure (gears mashing together, hydraulic nature of clutch packs) rather than high temperatures like engine oil. How does the differential oil work in my vehicle? As you cruise down the road, the gear oil splashes about lubricating gears, bearings and clutch packs. 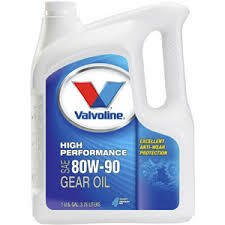 The differential oil lubricates the ring and pinion gears that transfer power from the drive shaft to the wheel axles. If your car is fitted with a limited-slip differential, it also keeps all the moving parts in that assembly healthy. The purpose of the differential fluid is to cool and lubricate your differential. Without the oil your differential would overheat due to the metal-to-metal contact and burn itself out. How often do I need to change the differential oil? Unless the gear oil has been contaminated with water, you should change the differential oil at the time recommended by the owner’s manual of your vehicle. If you don’t have the owner’s manual, we have access at Great Canadian Oil Change to all manufacturers’ recommended service intervals. Why is it important that I have it changed when recommended? Changing this oil is just as important as changing your engine’s oil, and for the same reason. Metal-to-metal contact wears down surfaces and creates heat from friction, which inevitably weakens the gears and leads to failure. To keep your differential in optimum condition and to avoid costly repairs, it is best to follow the manufacturer’s recommendation on when to change the differential oil. 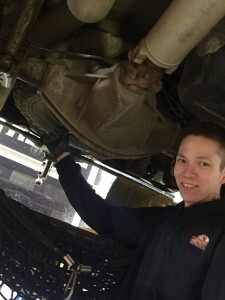 How can Great Canadian Oil Change help with the maintenance of my differential? The technicians at Great Canadian Oil Change refer to the manufacturer’s recommendations of the make and model of your vehicle in order to properly service your differential. We will let you know when the recommended service interval has been reached for a change in differential oil. We offer front and rear differential services to help you maintain your vehicle. The Services menu item on our webpage details all of the services we provide, and provides information that may be helpful to you in making the right choices for your vehicle. Great Canadian Oil Change on Quance Street and North Albert Street, Regina deserve the Thumbs up from www.trustedregina.com in our Regina Automotive General Category and they are Regina's Trusted oil change experts!